Kayaking is similar to an aerobic workout. The paddling movements require energy. It makes your heart pump at a faster rate, and with more force. At the same time, your breathing rate is increased, and more air is flowing to your lungs. These causes are opening up of blood vessels of the heart, lungs, and muscles. The effect is dependent on how fast and intense you paddle, with greater speeds having a greater impact. The effects of this kind of workout are of great value in preventing cardiac diseases. 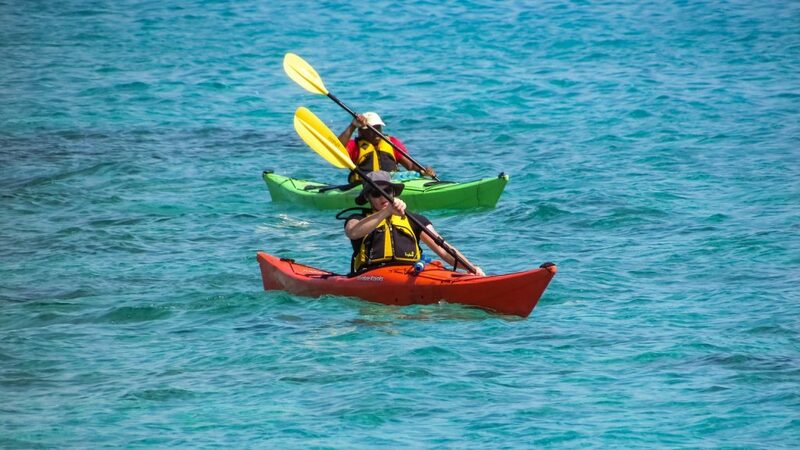 Regular kayaking reduces blood pressure by causing dilation of blood vessels as you paddle. Research also indicates that a regular workout, like kayaking, reduces your risk of a heart attack. The increased activity of the heart caused by paddling makes your coronary blood vessels to open up. This prevents clotting that may cause a heart attack. 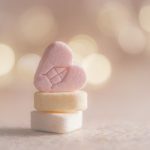 It has also been found to reduce the risk of a heart failure by 33%. Kayaking is a fun way to burn calories. Running and cycling are the more popular ways of losing weight. Kayaking is just as effective. This is because you are using your body strength to move your weight plus the kayak’s weight over water. 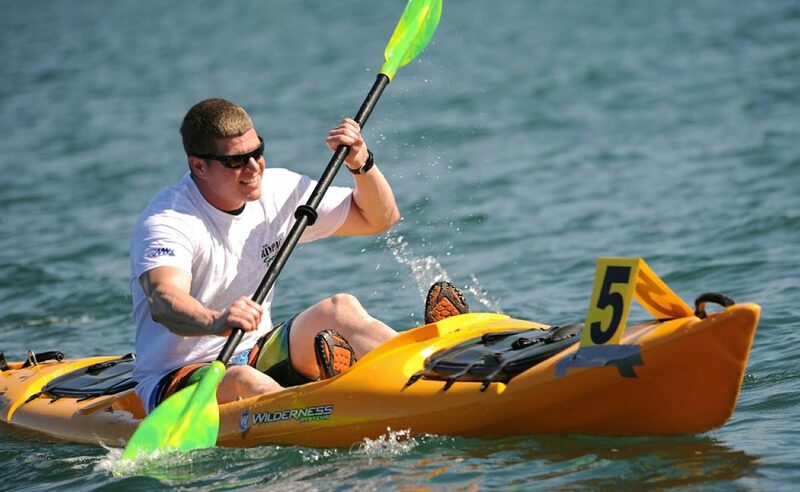 According to the American Council on Exercise, a person weighing 150lbs burns 340calories in one hour of kayaking. The more you weigh, the more the energy spent and as a result, more calories are burnt. A 125lb person will burn 283calories while a 175lb person burns about 400 calories. In comparison with other activities, kayaking for an hour is equivalent to playing softball for an hour. It burns more calories than cycling at 5.5mph. It, therefore, comes down to how much time you spend kayaking. Kayaking for longer hours will burn more calories and therefore lose more weight. A pound of fat has 3,500 calories. For a 175lb person, it will take about 8 hours to lose a pound of fat. You can do the math for how much weight you want to lose. The health benefits of weight loss are countless. It prevents a wide range of diseases: diabetes, hypertension, heart attacks, stroke, breathing problems, gout, and some cancers. If you’ve been kayaking before you understand exactly what a workout it is. 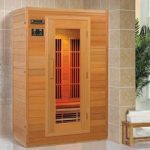 It is an equivalent of hitting the gym and doing a serious work out of your arms, shoulder, upper back and torso. Paddling involves the movement of muscles in a particular pattern to achieve a good stroke. Each stroke involves moving the paddle against water resistance, thus working out the muscles involved. To be specific, it works out your triceps, and arm flexor muscles. On the shoulders, it works out the deltoid, and external rotators of the shoulder joint. 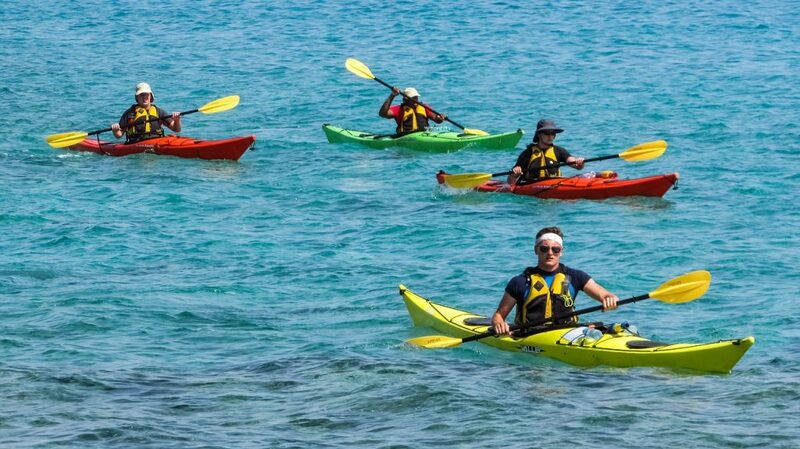 As a matter of fact, kayaking can correct rounded shoulders brought about by poor sitting posture. 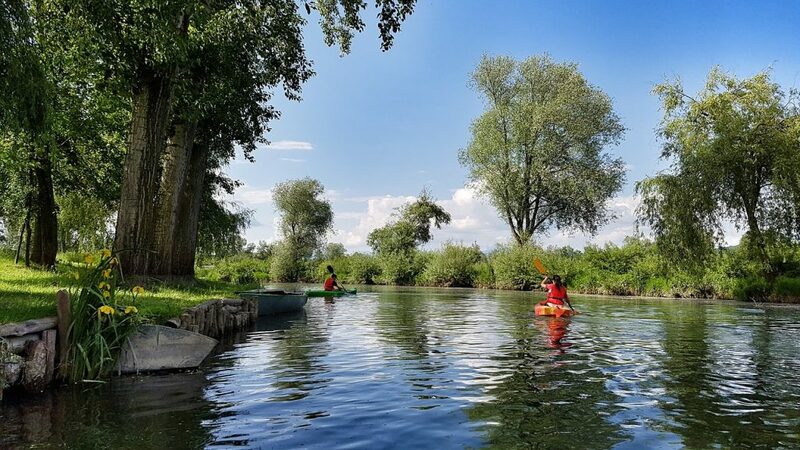 On the back, upper back muscles such as the lattes Imus dorsi are the main muscles involved in paddling and are really exercised in kayaking. The same pattern is repeated thousands of time, thereby building muscle bulk, as well as strength and endurance. The core trunk is made up of abdominal muscles on the front and lower back muscles. Moving the paddle from the left side to the right and back involves moving the torso muscles. More importantly, turning the kayak involves rotating your torso. With every turn, you exercise these muscles. This gives you a strong trunk. One would easily think that kayaking does not work out the legs since you are sited the entire time. This is false. Turning the kayak involves coordinated use of leg muscles as well as the trunk. At the same time, balancing the kayak will from time to time require you to use your leg muscles. These movements are repeated severally and result in working out the extensor muscles of the thigh, hip muscles and some muscles of the feet. So don’t be surprised when you experience soreness in your legs after a whole afternoon of kayaking. The benefits of kayaking are not limited to the physical state, it transcends to mental well being. To start with, all physical activities cause a release of endorphins. These are natural ‘feel good’ hormones released in your brain. When paddling, and several hours after coming out of the water, you will be feeling good. In comparison with other activities, kayaking has the uniqueness of location. It has to be done in a water body. In most cases, the area has beautiful scenery, be it the rocks or trees by the riverside, or the sandy beaches by the sea. This is quite a scenery that is relaxing enough to relieve one’s stress. It is nearly impossible to remain stressed while kayaking. Kayaking is a skill that takes some time to master. Being able to kayak gives one a sense of accomplishment. You prove to yourself that you are actually capable of achieving something. This boosts your confidence and self-esteem. Chances are high that you are not kayaking on your own. You are doing it with several other kayakers, and may even be competing. This creates an excellent social platform to bond either as teammates or as competitors. The social aspect of the sport is a good stress reliever and also brings the satisfaction of developing good relations with others. In summary, kayaking is good for your health. It is the equivalent of taking your car for a full service. You improve your cardiac health, at the same time build upper body, trunk and leg tone. With long hours of kayaking, you train your body for endurance. And to top it all, it is a relaxing and stress relieving exercise that is good for your mental health. 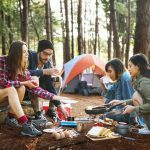 Tim Fox is Co-founder of The Elite a blog that thrives to help you enjoy your life on the outdoor.